Do you have trouble getting a good night’s sleep? If so, you’re not alone. As many as 33 percent of people living in Australia are having the same problem. And in other countries, such as the United States, Canada, Germany, Japan, Mexico, and the United Kingdom, less than half the respondents in a National Sleep Foundation poll were getting a good night’s sleep. Humidity refers to how dense the air is with water vapour — and high humidity means the air has a high moisture content. High levels of moisture make it difficult for the water on your body to evaporate, leaving you feeling sweaty and uncomfortable. People find it difficult to get to sleep and stay asleep when humidity levels are high. Some people find it harder to breathe in a hot and humid environment – particularly those with asthma or respiratory problems. High humidity also makes it easier for mould and mildew to take hold. They release mould spores into the air which can trigger allergies, asthma attacks, irritate eyes, nose or throat resulting in sinus congestion and other respiratory problems. Dust mites thrive when the humidity is high in blankets, sheets, drapes, rugs and even the air, making it difficult to tackle with normal cleaning. Lowering the humidity level is an effective way to control their activity. So reducing the humidity is a good way to alleviate discomfort, can assist you in breathing as well as controlling the spread of mould and mildew. What is the correct humidity level? The National Sleep Foundation recommends keeping humidity levels in your bedroom at 50% all year round. You can’t change the weather, but you can control the air in your home. A dehumidifier in summer and a humidifier in winter allows you to adjust humidity levels in your bedroom and other areas of your home. You can buy dehumidifiers that work in a single bedroom or larger units that handle several rooms in your home, or even your whole house. 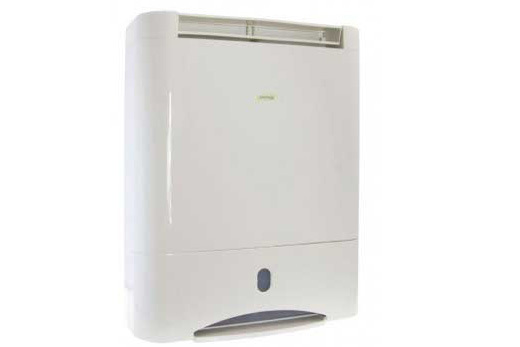 A dehumidifier works by removing moisture in the air, from 5 to 25 litres of water every day. Dehumidifiers collect this water in a tank you can empty or via a continuous drainage pipe. 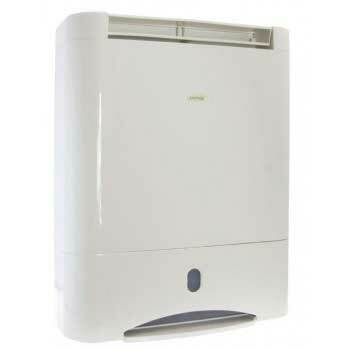 Many dehumidifiers come with Humidistat – which allows you to set and forget the desired humidity level or range. The dehumidifier then automatically maintains that humidity level so that the air you breathe is comfortable, balancing the percentage of water vapour in the air and maintaining a healthy environment. Most importantly, it helps you sleep through the night without waking up hot and sweaty, allowing you to wake rested and refreshed. At the same time the lower moisture levels reduce mites, mould, and mildew so you suffer less from allergies and breathing problems. Sleep is essential if you want to be healthy and productive. Using a variety of sleep solutions will result in an environment that is conducive to getting a good night’s sleep. Adding a dehumidifier to your home is one of the best investments you can make if you’re having trouble sleeping in a humid environment. It has shared many instructions to find better solutions for dehumidifier and they all assist us to get superior writing services. All the values we should follow for having more helpful articles and other helpful instructions.